The Walking Hour is a fine atmospheric folk album. Other than “Old Joy,” with thick upright bass undercutting an almost giddy melodica and organ and clever lyrics like “Sorrow is just old joy, they say, old joy that’s lost its way,” this is a quietly unfurling album of songs. It contains some fantastic, deceptively simple sounding guitar picking. Singer Bahhaj Taherzadeh is able to pick out melodies on some of these songs that you will find yourself humming in the shower or that get stuck in your head just as you lay it down on your pillow. He does all this while singing with a voice reminiscent of a less angsty Conor Oberst. The album starts with “Lights Inside Us,” a song which foreshadows the melding of subtle, psychedelic atmospherics and tuneful acoustic picking found throughout most of the album’s songs. “Letting go’s the only way, to hold on to what’s gone way,” Taherzadeh sings. These kind of philosophic reflections abound in places on The Walking Hour. On “City Fades,” he’s able to convey the pastoral impulse of the urbanite who simply wants to get away from the noise; the sentiment is simply expressed by repeating the line “City fades from view” over top of a simple guitar melody that makes you want to take your time as you drive away with the city lights in your rearview. “My Father” is a tribute to the hard-working, story-filled, and often mysterious men who raise us. It might be the most beautiful song on the record; all of its elements, especially the slight trace of piano accompaniment, work perfectly together to help create an emotional and meaningful piece of art. The best song of the bunch, however, is one that is completely different from the rest but makes perfect sense in the album’s sequence. “From the Top of This Thing” is a spoken word piece written and performed by Anis Mojgani, who has one of those speaking voices you could listen to all night, excitedly youthful but strong and sturdy. Said “thing” of the title is a metaphorical monster or beast of some sort washed up on a beach that two lovers climb to the top of. It’s dramatic and hopeful and a helicopter is somehow involved. I won’t guarantee it will all make sense when you listen to it, but it will leave you with a feeling of joy and delight. (Who was it that said “Genuine poetry communicates before it’s understood”? [T.S. Eliot is who it was. Many thanks to you, Internet.]) The last words spoken are, “Don’t fall, love. We are not down yet. We are not yet done with this.” The music goes on for another ninety seconds, leaving the listener who is prone to ponder the time and musical accompaniment to do so. 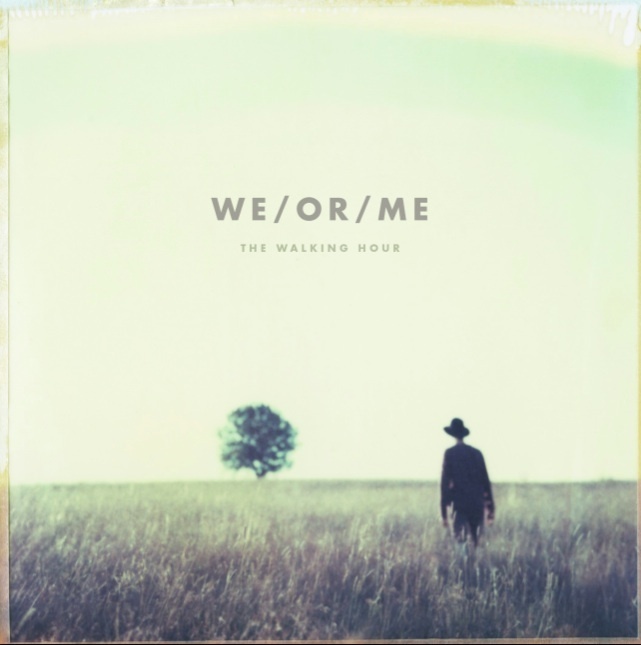 And as a whole, The Walking Hour is a pleasurable album that will make you ponder often.